BASS EXPO 2013: Warwick was founded in 1982 in Erlangen, in the German state of Bavaria, by Hans Peter Wilfer. As a child Hans Peter learned all aspects of musical instrument manufacturing and distribution - he literally grew up playing in the sawdust of the Framus factories. He has since turned this intimate knowledge of instrument building, his extraordinary energy and the dedication of the workforce to good effect, establishing Warwick as one of the world´s most highly respected manufacturers of bass guitars. In addition, the company has developed an extensive distribution network throughout Germany and Austria to represent and distribute products from leading companies from Europe and the USA. Names such as Engl amps (not in Austria), Rotosound strings, Rickenbacker, Seymour Duncan, and Heritage are just a few of the premium brand names represented by the Warwick organization. In 1995 Warwick moved to Markneukirchen in the Saxon Vogtland to capitalize on the centuries-old tradition of instrument building in the region. As a result, Warwick can count on a level of skill and craftsmanship from its workforce that few other firms can match. The construction of the new plant provided an opportunity to install state-of-the-art manufacturing equipment, giving Warwick a technological edge to go along with its well-deserved reputation for fine hand craftsmanship. Today Warwick produces a staggering array of instruments with a quality level and consistency that is matched by few instrument makers worldwide. Since its inception in 1982, Warwick has grown and thrived due to the personal efforts of its workers and esteemed business partners. The company is highly optimistic and is looking forward to a successful future in spite of the current weak German economy. It is the attitude of its employees, its global business partners and a worldwide base of loyal consumers that has made Warwick what it is and insures the future. In 2012, Warwick was celebrating its 30th anniversary. Despite ever-increasing competition, Warwick can face the future confident that it has the wherewithal to succeed. Warwick´s products are sold in almost 50 countries. In 1996 the company opened an office in Shanghai in anticipation of future market and procurement opportunities. It is one of the world´s most highly regarded makes by bass players of every persuasion, and it is the only German or European manufacturer of stringed instruments in the Rock and Roll business that has proved capable of sustaining a premium position in the world marketplace. Neither Warwick's policy of continuous product development, nor the investment in new machinery and technology which it entails, detracts from the spirit of hand craftsmanship. Correct selection and working of woods remain vital factors in determining the sound. 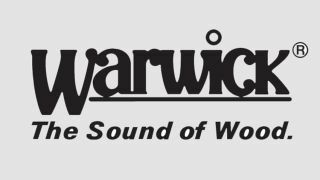 Warwick differs from other bass manufactures in buying all its wood in complete rough logs or planks - none is obtained precut. This means more work, but ensures complete control over the wood used and the finished look of the instrument. The wood selected is stored for three to five years, and dried in Warwick´s own kilns to reduce moisture to the optimum level - a process which requires experience and patience. While Warwick makes greater use of modern technology than any of its rivals, it does so only where the result will be a better instrument (and a more satisfied musician). The benefits are clear: It relieves humans of the mundane repetitive tasks, delegating them to machines. This reduces the risk of inaccuracy, at the same time increasing job satisfaction. The result is an increase in the quality and consistency of the instruments leaving the factory. Mechanization permits manufacture on a scale - determined only by demand - unattainable by independent luthiers. With higher output, Warwick is not restricted to standard guitar parts, but can invest in the development of parts better suited to the special demands of basses and bass players. Warwick can offer a uniquely ergonomic, integrally designed instrument, costing no more than basses heavily reliant on standard parts and outdated technology. Since December 2012, Warwick is the first carbon-neutral company in the music industry.